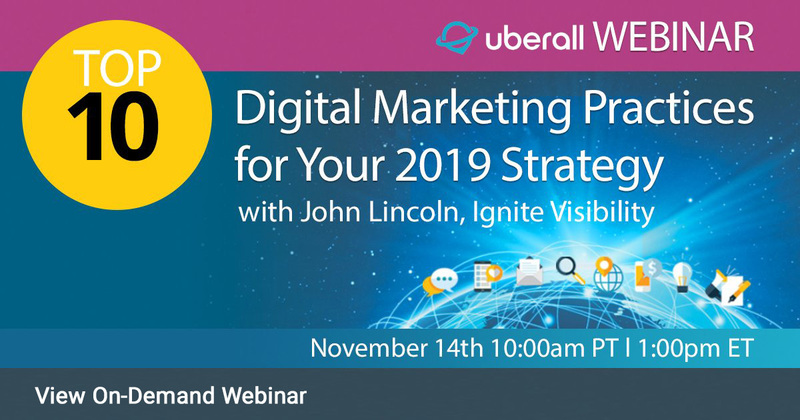 Listen in to thought leader and industry expert John Lincoln from Ignite Visibility as he offers key tips for planning a successful 2019 marketing growth strategy in our webinar: Top 10 Digital Marketing Practices For Your 2019 Strategy. What digital marketing practices you should be using already? What’s on the horizon in 2019? Plus answers to all your questions on the art and science of digital marketing.